John Perry did two things on his 75th birthday. First he visited his wife’s grave. Then he joined the army. The good news is that humanity finally made it into interstellar space. The bad news is that planets fit to live on are scarce—and alien races willing to fight us for them are common. So: we fight. To defend Earth, and to stake our own claim to planetary real estate. 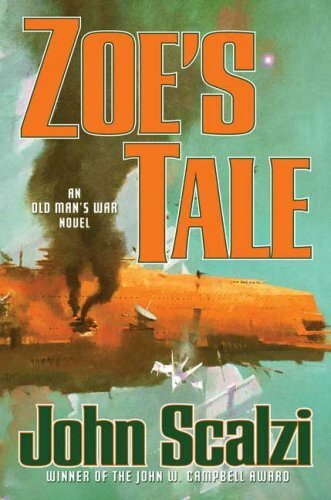 Far from Earth, the war has been going on for decades: brutal, bloody, unyielding. Earth itself is a backwater. 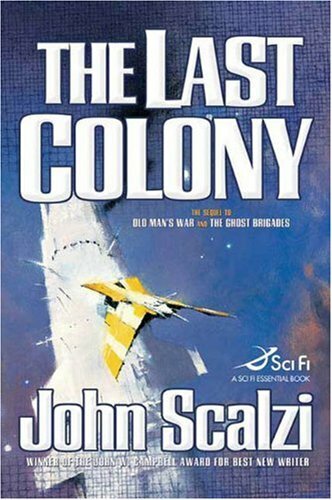 The bulk of humanity’s resources are in the hands of the Colonial Defense Force. Everybody knows that when you reach retirement age, you can join the CDF. They don’t want young people; they want people who carry the knowledge and skills of decades of living. You’ll be taken off Earth and never allowed to return. You’ll serve two years at the front. And if you survive, you’ll be given a generous homestead stake of your own, on one of our hard-won colony planets. John Perry is taking that deal. He has only the vaguest idea what to expect. Because the actual fight, light-years from home, is far, far harder than he can imagine—and what he will become is far stranger. 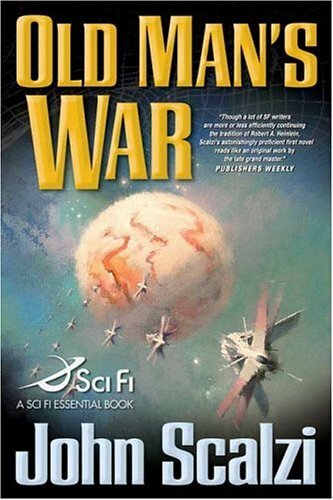 John Scalzi’s debut novel Old Man’s War was a finalist for science fiction’s Hugo Award. 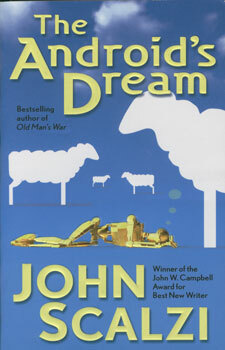 His other novels include The Ghost Brigades and The Android’s Dream. He lives in southern Ohio with his wife and daughter. 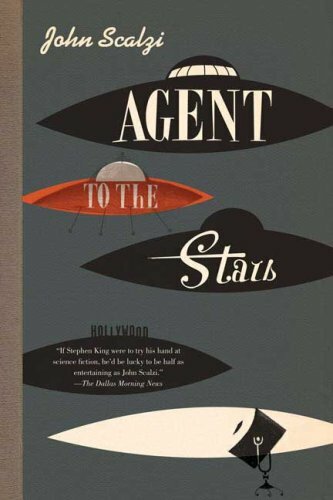 Jared Dirac is the only human who can provide answers—a superhuman hybrid, created from Boutin's DNA, Jared’s brain should be able to access Boutin's electronic memories. 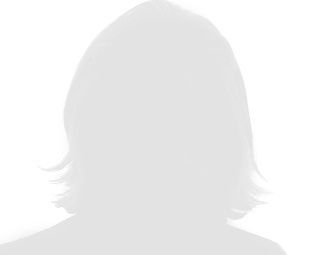 But when the memory transplant appears to fail, Jared is given to the Ghost Brigades. At first, Jared is a perfect soldier, but as Boutin’s memories slowly surface, Jared begins to intuit the reason’s for Boutin’s betrayal. As Jared desperately hunts for his "father," he must also come to grips with his own choices. Time is running out: The alliance is preparing its offensive, and some of them plan worse things than humanity’s mere military defeat. 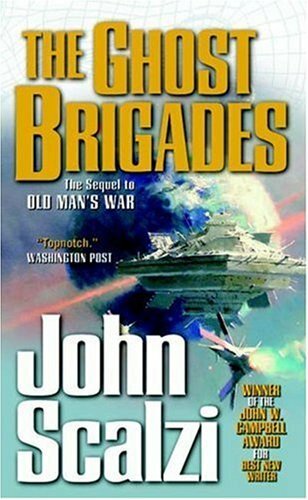 On September 13, 1998, John Scalzi sat down in front of his computer to write the first entry in his blog Whatever--and changed the history of the Internet as we know it today. 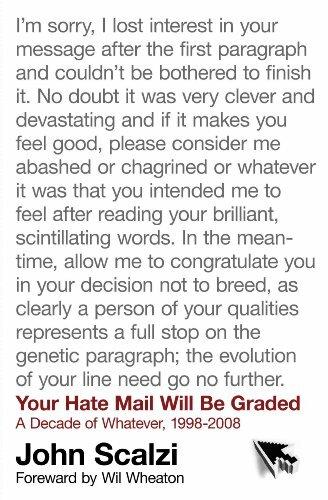 Your Hate Mail Will Be Graded collects some of the best and most popular Whatever entries from the first ten years of the blog – a decade of Whatever, presented in delightfully random form, just as it should be.